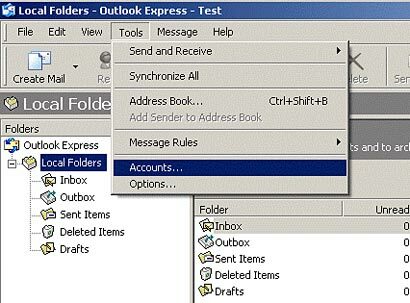 Follow the steps detailed below to use Microsoft Outlook Express 6.0 to send/receive Email. 1. 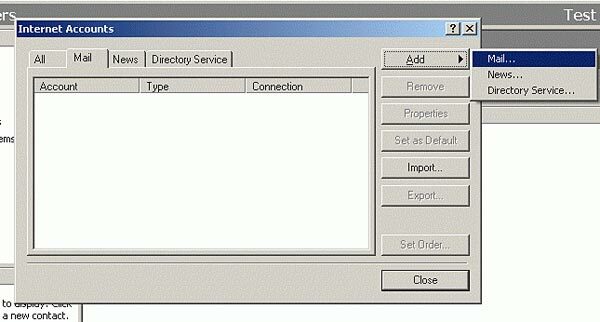 Start Outlook Express 6.0. On the Tools menu, click Accounts. 2. 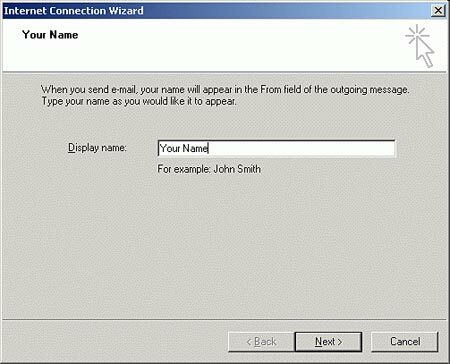 In the Internet Accounts dialog box, click Add, and then click Mail. 3. In the Display Name box, type the name that you want others to see when you send a message, and then click Next. 4. 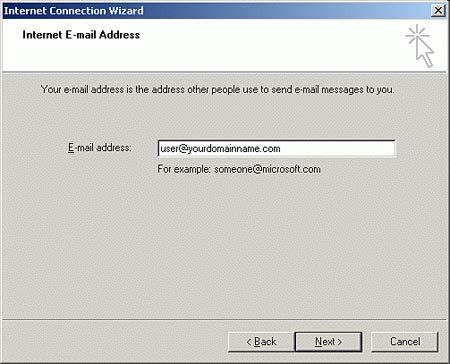 In the E-mail Address box, type the e-mail address for the account that you are using (for example, "user@yourdomainname.com"), and then click Next. 5. 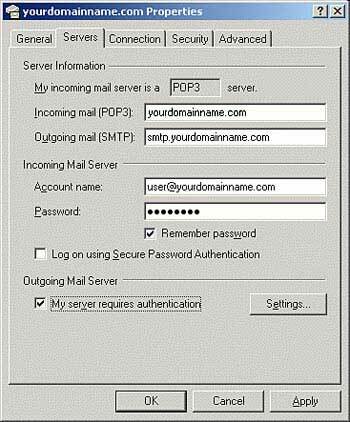 My income mail server will be pop3 server. 6. 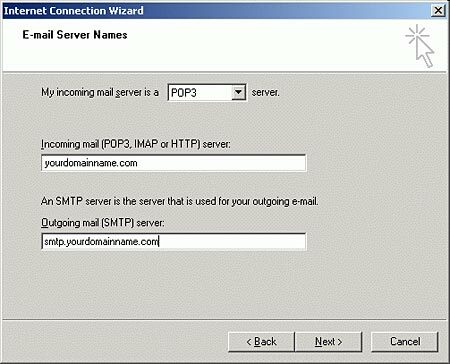 Specify income mail server as (yourdomainname.com) and outgoing as (smtp.yourdomainname.com) and click Next. 7. 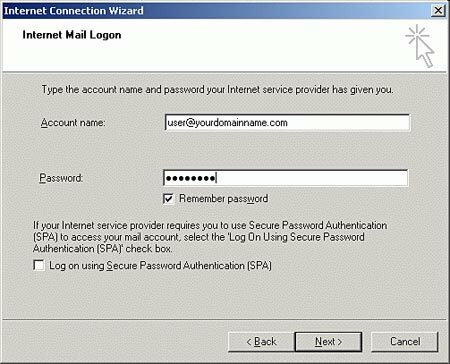 Type your complete email id and password in the Account Name and Password boxes and then click Next. 8. 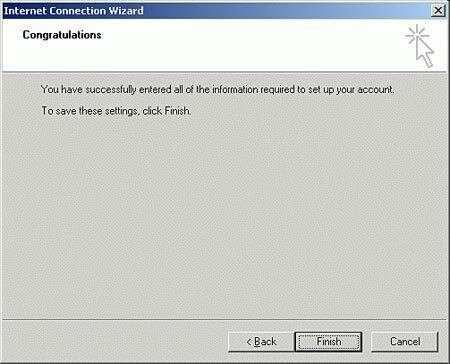 The next window that you see reads "Congratulations, you have successfully entered all of the information required to set up your account. To save these settings, click Finish. 9. Now again open the Internet Accounts dialog box referring to steps 1 and 2. In the Mail view you will see the Account you have just added. Now you need to click Properties. 10. 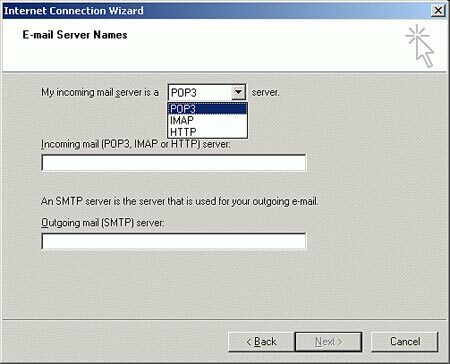 Under the Servers tab you need to check the checkbox My server requires authentication placed under Outgoing Mail Server. Once this is done, click Apply and close the Internet Accounts dialog box. 11. Now under Send/Receive button click on Send and Receive All and the mails will be download and visible when you click on Inbox which is located in the List of Local Folders as shown below.